Jazz pianist and keyboard player Craig Taborn began working professionally in the 1990s in a variety of musical contexts, ranging from more straight-ahead jazz to more outside music, with young jazz musicians, seasoned veterans, and even techno artists. 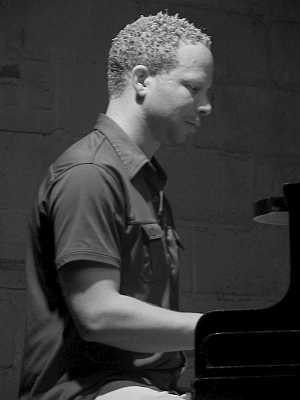 In his hometown of Minneapolis, Taborn studied piano, composition, and music theory with area university professors before going away to college. Before he graduated from college, Taborn had already performed on three recordings as a member of the James Carter Quartet. After graduating with a liberal arts degree from the University of Michigan in 1995, DIW released Taborn’s first date as a leader, The Craig Taborn Trio. He then moved to N.Y.C., and by the close of the ’90s, he performed on two more Carter releases; Roscoe Mitchell’s 1999 ECM release, Nine to Get Ready; Detroiter Carl Craig’s techno-jazz project, Innerzone Orchestra; and Hugh Ragin’s Afternoon in Harlem. His second album, Light Made Lighter was a piano trio date for Thirsty Ear in 2001. Over the next decade, Taborn became one of the most in-demand musicians in New York. Although his time with James Carter would come to a close, the Roscoe Mitchell and Hugh Ragin projects continued and Taborn formed another longstanding collaboration with Tim Berne. He also played in projects for Drew Gress, Chris Potter, Dave Douglas, and Mat Maneri on the jazz side as well as serving as a hired gun for Bill Laswell and Meat Beat Manifesto. In 2004, he issued Junk Magic on the Thirsty Ear label, turning away from the traditional piano trio and incorporating all kinds of electronic elements. Junk Magic is now generally recognized a watershed album for jazz meets electronica. The late 2000s saw continued work with Berne in a number of groups (including with David Torn) and albums for David Binney, Eivind Opsvik, and old college bandmate Gerald Cleaver. In 2007, he did an album with fellow Minnesotans Dave King (Bad Plus, Happy Apple) and Greg Norton (Hüsker Dü) as Gang Font. His involvement on a number of ECM releases at the close of the decade (David Torn, Roscoe Mitchell, Evan Parker, and Michael Formanek) caught the ear of Manfred Eicher and Taborn was signed to ECM Records. His first album of solo piano, Avenging Angel, was released in 2011. That same year he, bassist William Parker, and Cleaver formed a trio called Farmers by Nature; they recorded Out of This World’s Distortions for AUM Fidelity. Chants, Taborn’s second album for ECM, was released in April of 2013.